In this series of post I’m going to discuss how me and my fellow team mates (Karl Ahlin, Anna Lantz, Jonathan Larsson, Oskar Bejbom, Mathias Kunto and Joachim Widén) handled a requirement to review text found in EPiServer pages. There won’t be too much concrete code but rather a disussion on a higher level of abstraction about the solution and it’s infrastructure. First a look at how an article looks like from a viewer as well as an editors perspective. The article to be review is built up by several different page types. To keep things slightly simpler let’s imagine that the article page contains data from itself and a number of chapter page children. When viewing the article page you’re actually veiwing data from a number of different EPiServer pages. The heading from the article page acts as H1 and chapter pages heading as H2. 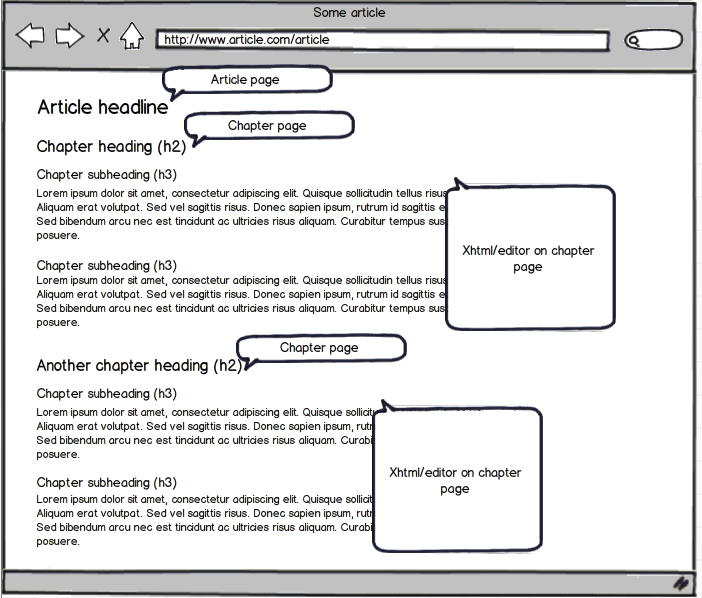 Each chapter page contains an XHhtml-property where the editors themselves write the relevant text. 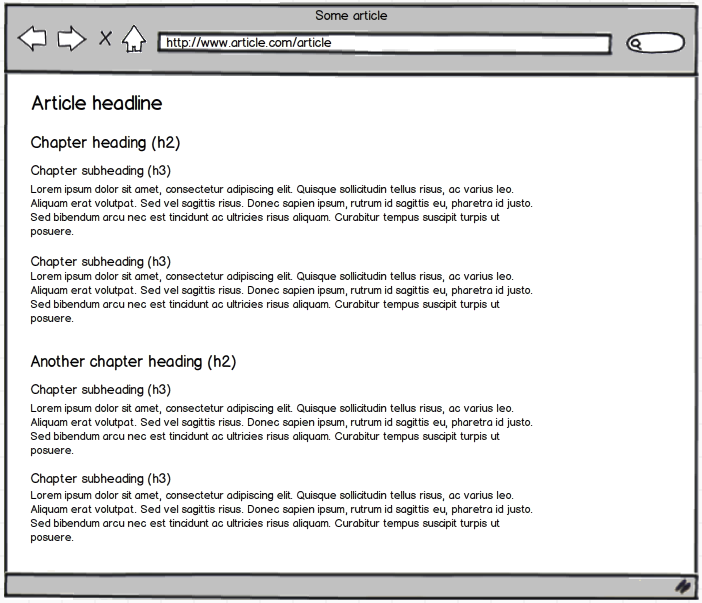 The editors have the possibility to add new sections using a H3 in the property editor. The customer currently has a separate system where they are able to comment upon texts. When the commenting process is finished the editor copies the text from the system and “translates” it to the EPiServer structure above. Since this was a far from optimal workflow we were asked if we could integrate the comment process into EPiServer. 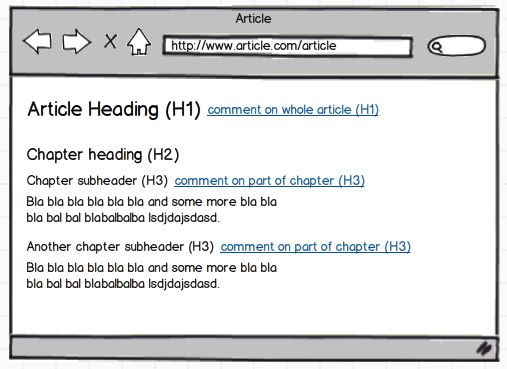 The current system supported comments on an article level as well as on each chapter sub heading. So the requirement roughly translates to the following mock-up. The following posts will discuss our solution in more detail. Great post series idea Stefan, it is a really interesting EPiServer integration; looking forward to reading it!